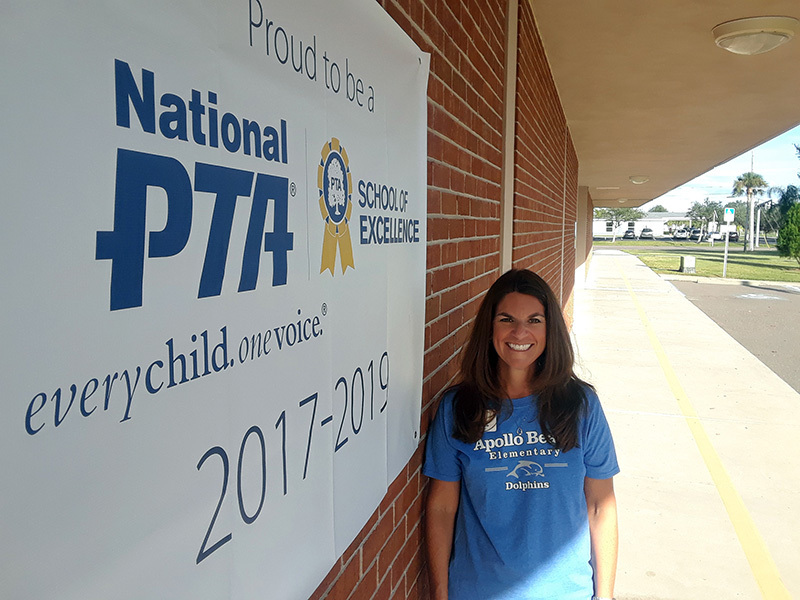 Caren Katz will have a child in elementary, middle and high school next August and while she voted for a different option in the online poll, “regardless, education is a priority for my family, and we will make it work,” said the president of the Apollo Beach Elementary PTA. That’s how my son, Patrick, and likely thousands of other local teens, view new schedules that will see high schools begin at 8:30 a.m. starting next August, an hour later. Up until midnight watching The Late Show with Stephen Colbert or a blood-soaked zombie movie, all while dad sleeps. Sweet indeed. And the Hillsborough County School Board, which voted unanimously last Tuesday, Oct. 17, to change bell schedules for all public schools, is hoping local students do just that; dream more. “I think finally society is starting to wake up to how important sleep is to children,” said Sally Harris, who represents the majority of South County on the school board including Riverview, Ruskin, Apollo Beach and Gibsonton. High schools and magnet middle schools will start at 8:30 a.m. not 7:33 a.m. as they do today. Students will be released at 3:25 p.m., not 3 p.m.
Middle schools will start at 9:25 a.m., 25 minutes later than they do now. The final bell will come just 5 minutes later than it does today at 4:20 p.m. Elementary students will start their day 20 minutes earlier at 7:40 a.m. with the final bell ringing at 1:55 p.m., not 2:15 as will this school year. Already 48 elementary schools that start at 7:45 a.m.
Changing elementary school bell schedules has proven the most contentious of the changes. In an effort to mollify parents, schools will offer before- and after-school care at a low cost at all elementary and middle schools based on need. “A 20-minute adjustment really isn’t too drastic,” said Carmine Alfano, principal of Summerfield Elementary in Riverview which serves 783 local students. “The only feedback I’ve received from my parents is concern about daycare, which is always an issue with elementary school students. It might mean we get more kids involved in our HOST program. Before and after school care is going to be the key.” HOST is a before- and after-school program offered by many elementary and middle schools. Sylvia Markland, end right, said all the students in her first period class are tired. The new schedule will “make it easier for us to learn and when it comes exam time we will have better test scores.” Also pictured, from left, Lennard principal Denise Savino, and juniors Taylor Land and Olivia Speed. More than 12,000 county students are late for school every day because their buses cannot complete routes between schools on time, according to adminstrators who proposed a new bell schedule as a way to resolve the problem. Staggering start times would allow bus drivers time to transport almost 90,000 students on time and save money, officials said. In April, the idea was put to the seven-member school board who decided they needed input from students, faculty and especially parents before making a decision. Almost 57,000 students, parents and faculty filled out an online poll between August and October, 30 percent picking Option A, one of six on the survey. The next most popular option drew only 18 percent. High school students and administors seem to be embracing the change most enthusiastically. Taylor Land, a junior at Lennard High, is looking forward to the new schedule in her senior year. “I think the new bell schedule will be good because it will give students more time to get ready (in the morning),” said the cheerleader who anticipates pratice ending a little later next year. 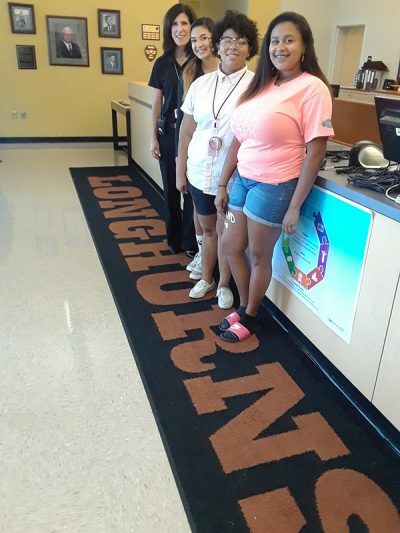 “(The new schedule)will give us time to sleep and actually be prepared for school and be ready to learn,” said Olivia Speed, also a Lennard junior. About 90 percent of high school students get insufficient sleep on school nights, eight to 10 hours, according to a University of Rochester report released Oct. 3. The same report said teens who start school before 8:30 a.m. may be at high risk for mental health issues. Use of cell phones and tablets at night are most to blame, according to reseachers. “We have had a handful of calls this week since the bell schedule was approved by the school board,” said Tanya Arja, a district spokesperson who reported calls in support and against the new plan. For more information about the schedule visit www.sdhc.k12.fl.us/. The site includes an extensive question and answer section for parents.